What would you do with a billion dollars? 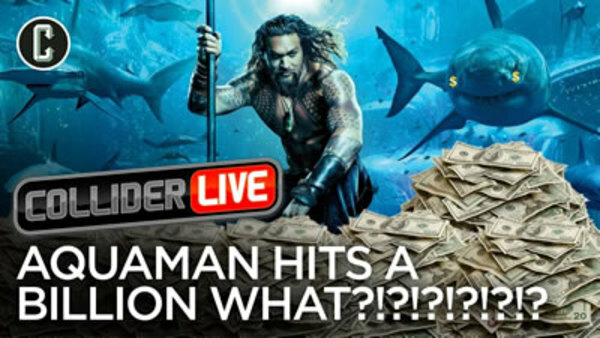 Wouldn’t be of much use underwater, even though #Aquaman made that much in the box office. (Maybe that’s how much Black Manta was given by the Orm-Master Patrick Wilson? I mean, how is Manta gonna use that Atlantean gold on the surface?! ANSWER ME!) Host Kristian Harloff, Roxy Striar, Mark Reilly, Josh Macuga, Tom “Bob Finstock” Dagnino, Cobbster, Cody, and Alex are back for another week of nonsense. Now, what’s the over/under on how many creepy celeb photos Kristian took of people at the #CriticsChoiceAwards last night?